Luke Combs has become the biggest name in Country within the last few years! With two chart topping albums under his belt and countless successful singles, this incredible artist is a rising superstar! As he takes to the road for Spring 2019 he comes to Red Rocks Amphitheater on Sunday 12th May 2019! Tickets are on sale NOW for the unmissable Luke Combs – don't miss the chance to be there! 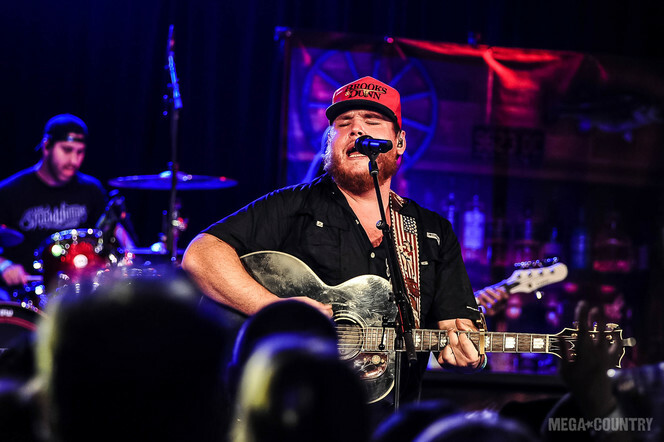 The American country artist Luke Combs has quickly becoming a Nashville sensation! With his groundbreaking tracks he has reached the number one spot on the charts over and over and just keeps on giving. With his songs such as "Hurricane", "When It Rains It Pours", "One Number Away", "She Got the Best of Me" and "Beautiful Crazy" he has made it on to the Billboard's Country Airplay and is the first artist to have had five number one singles on the chart with his first five releases! An unheard triumph which sure has put him on the musical map for all to see! Luke Combs hasn't waited or held back when it comes to releases, with his first EP in 2014 and within the same year with 'Can I Get an Outlaw' he has showcased his songwriting abilities right in the spotlight. With the first drop of his "Hurricane" single from his 2015 release, Combs gained a whopping 15,000 copies in just the first week! Putting him at the top of the list for Nashville's must watch artists of the year! With a deal to Sony Music in Nashville, Luke Combs continued to sustain his successful career, giving to the world his next few single releases and in 2017 he was more than ready for another album to be made. This One's for You became a massive chart topping hit as it made it on to the Billboard Top Country Albums chart and became a number five album success on the US Billboard 200. All of which happened in just one week of its release. Last year Luke Combs churned out even more singles from his second album release and the Country scene just can't get enough of him – now travelling across North America he sets out in 2019 to showcase all of these incredible songs to the stages across venues in the US! If you're a fan of his music then be sure to head on down to your local show as the ever-growing superstar performs LIVE!